On her husband's choice of neckwear: Did you buy that tie?' 'Of course I did - how do you think I got it?' 'I assumed it had been given away free with something.' Katharine Whitehorn pioneered the first of the personal columns. She told us how it really was. She was funny - and smart. 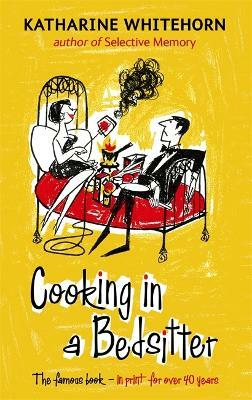 For nearly 40 years the Observer s star columnist, she is also famous for Cooking in a Bedsitter. Much loved for her frankness and honesty, her autobiography is about family, studying at Roedean, work on Fleet Street and about her long marriage to the recently deceased crime writer Gavin Lyall Marriage is the water in which you swim, the land you live in . . . once a widow you have to learn to live in another country in which you are an unwelcome refugee. She is now Saga magazine's agony aunt. Buy Selective Memory by Katharine Whitehorn from Australia's Online Independent Bookstore, Boomerang Books. 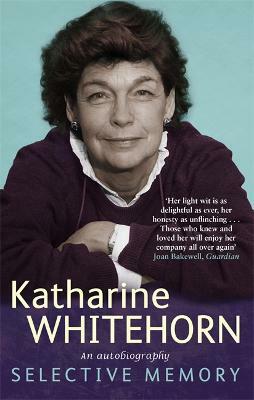 Katharine Whitehorn grew up in Mill Hill and studied at Cambridge. She has had distinguished career on Fleet Street; working for the Observer from 1960 to 1996 with stints at Picture Post and the Spectator among others. She is currently Saga magazine's resident agony aunt.